Studies show that an increase in salt intake is proportional to an increase in cancer of the stomach, esophagus and bladder. 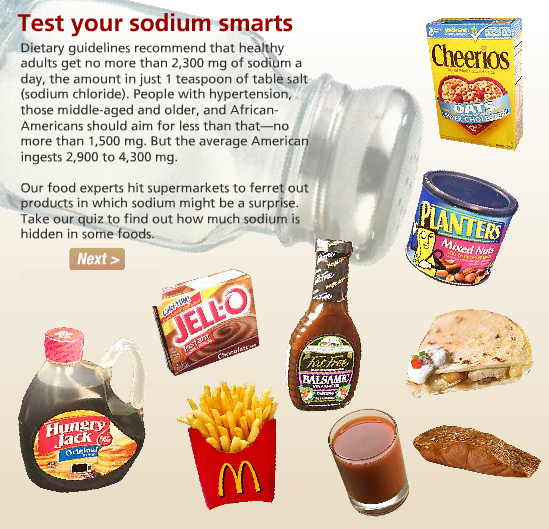 Research shows the average American consumes 3400 mg of sodium daily. To reduce sodium intake avoid products with more than 200 mg sodium per serving and don’t add salt to food before or after cooking.The American Heart Association recommends no more than 2,300 milligrams (msg) a day and an ideal limit of no more than 1,500 mg per day for most adults.